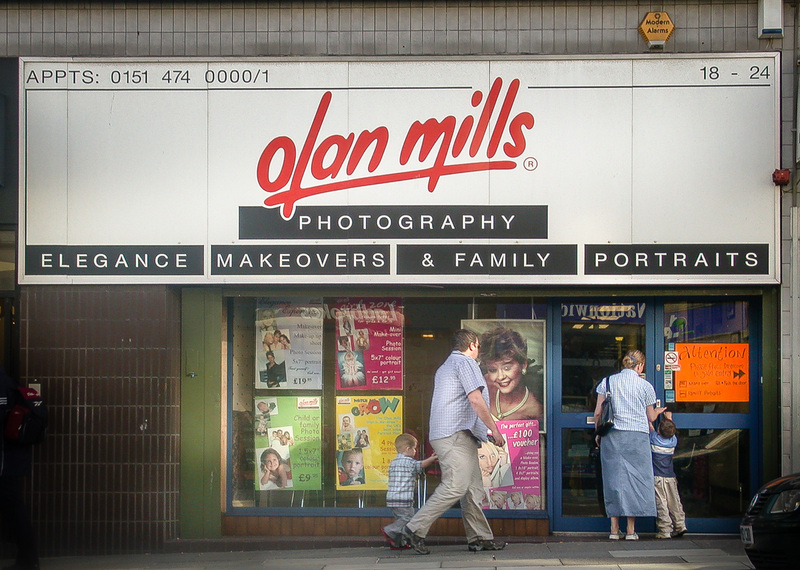 Olan Mills, 18 Lord Street, Liverpool L2, 2003 • That’s Olan, not Alan on the vast old-school sign. Knocked down to make way for Liverpool One shopping quarter and is now a Debenhams. what are those multicoloured plastic curtains called they used to have hanging by the doors in cafe`s, betting places etc and do they still exist ! ? Hi – those things are simply called plastic door curtains as far as I know. They still exist, there are loads on ebay here http://www.ebay.co.uk/bhp/plastic-door-curtain. to the right plastic strip curtains !